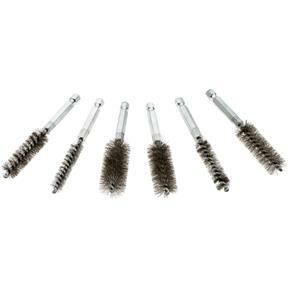 Tube Brush Set, 6 pc. Grizzly T27773 - Tube Brush Set, 6 pc. 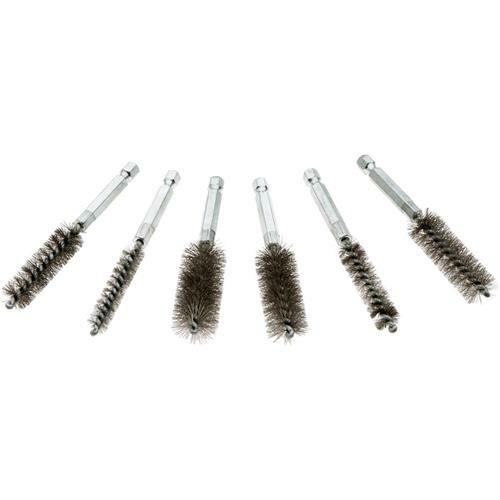 Made with stainless steel wire, these brushes mount easily with a 1/4" quick change shaft and provide a range of sizes for almost any project you need. Overall length 4", sizes include 9, 11, 13, 15, 17, and 19mm.